Justin’s practice focuses on mergers and acquisitions, corporate finance and securities, and general corporate matters. He has experience advising public and private clients in plans of arrangement, takeover bids, prospectus offerings, private equity transactions, continuous disclosure obligations, and acquisitions and dispositions of shares and assets. 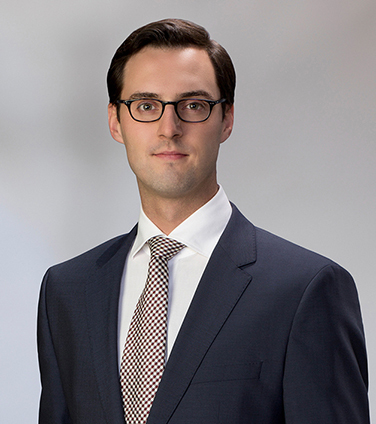 While attending law school at the University of Alberta, Justin was the recipient of the Edward E. Bishop Prize in Securities Law and the Honourable J.J. Stratton, Q.C. Scholarship for achievements in corporate and commercial law. Canadian Oil Sands in its response to Suncor Energy Inc.’s unsolicited takeover bid valued at $6.6 billion. Canadian Natural Resources Limited on its sale of royalty properties to PrairieSky Royalty Ltd.
CanElson Drilling in its $500 million merger with Trinidad Drilling. Aspenleaf Energy Limited in its acquisition of Arcan Resources Ltd.
Aspenleaf Energy Limited in its equity line financing by Ontario Teachers’ Pension Plan and ARC Financial Corp.
Canadian Counsel to Credit Suisse and other Initial Purchaser’s in Canbrium Energy’s US$250 million note offering. MGM Energy in its arrangement with Paramount Resources.